The Catana 431 is a great performance blue water catamaran this popular owner's version with 3 cabins has twin helm positions at the aft end of each hull, either side of the spacious cockpit. The central area of the yacht is given over to the saloon, galley and nav area, with the accommodation located in the hulls. The saloon is very light and airy with seating for eight around the table and the well-equipped galley on the port aft side along with a forward facing chart table to starboard suits all needs. Steps from the saloon lead down to the accommodation in each hull and the starboard hull houses the luxurious owners’ accommodation, with a double cabin aft, an office area and huge amount of stowage in the centre, with the forward end of the hull housing a very large heads and shower compartment. The port hull has two double cabins sharing one head and shower compartment, with excellent stowage in the central walk-through. Each of the cabins features a huge picture window, affording fantastic views and allowing in lots of light and air. This example has been very nicely maintained and with much recent works. 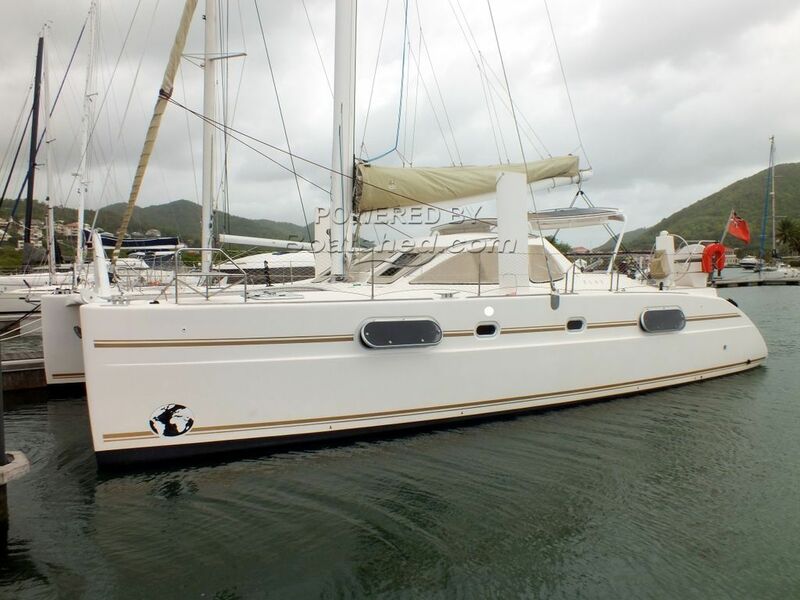 This Catana 431 has been personally photographed and viewed by Andy Topham of Boatshed St Lucia. Click here for contact details. Magnifique unité, probablement très bien entretenue par son propriétaire. Je suis fan !